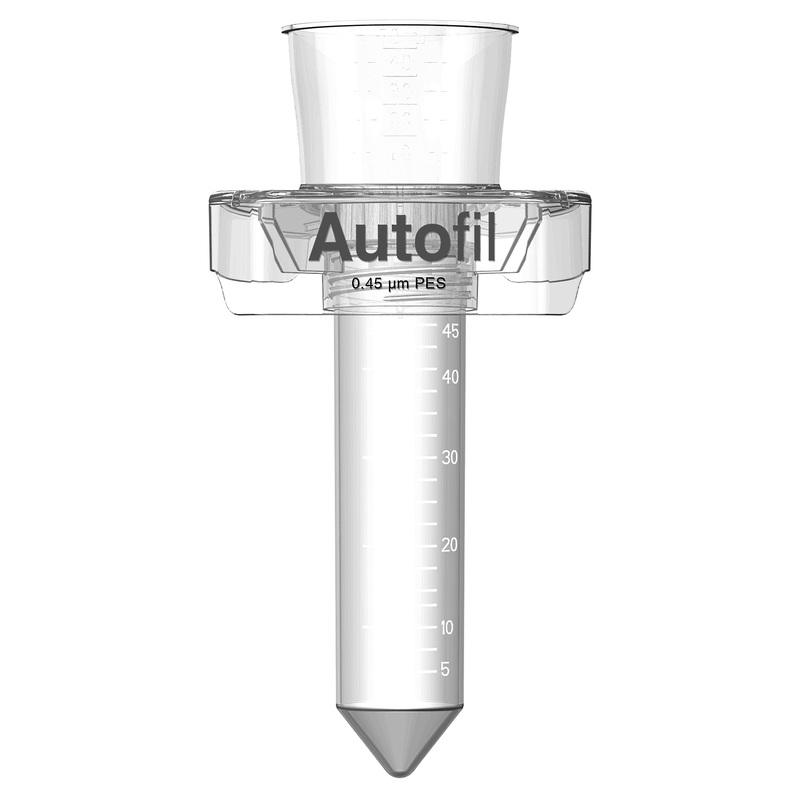 Autofil is the next generation of laboratory filtration devices. 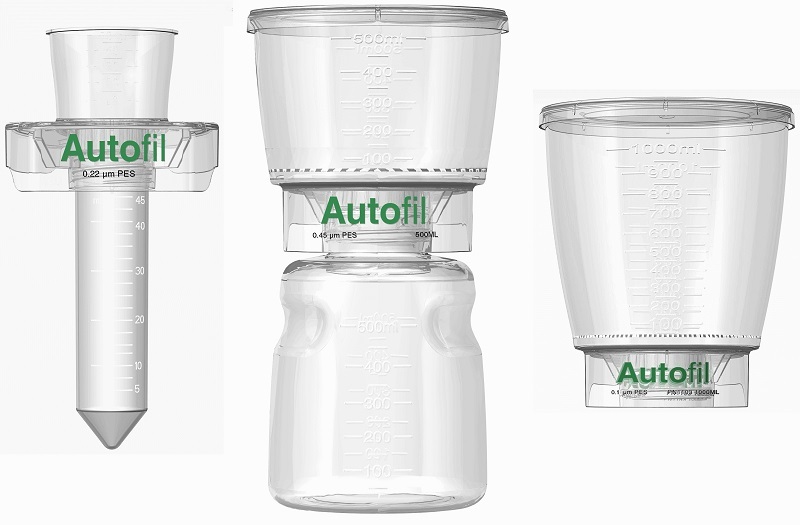 Autofil Bottle Top Vacuum Operated filtration systems are used for the sterile preparation of buffers, tissue culture media, microbiological media, and other biological fluids. 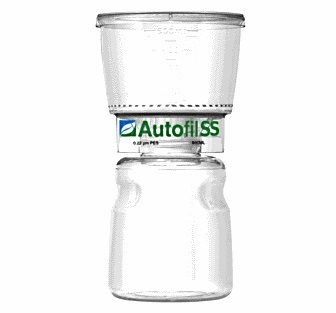 The Autofil system introduces innovative design features that simplify handling, shorten filtration time, and reduce costly accidental spills. Autofil filtration systems are manufactured in North America in a Class 100K clean room that is both an FDA and an ISO 13485 registered facility. 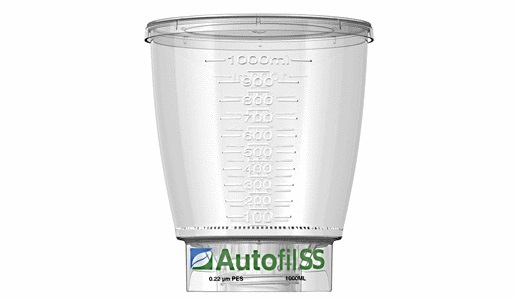 The Autofil filters contain only Class VI materials, are Gamma Sterilized 10-6 VDmax by Steris in the USA and individually packaged. 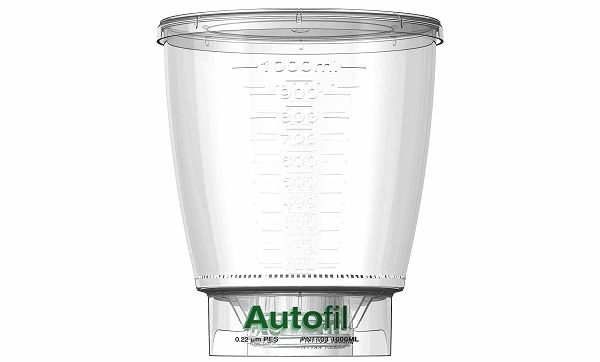 Autofil Bottle Top Filtration or Centrifuge Tube Filtration is available as either a complete full assembly or as a funnel filter. 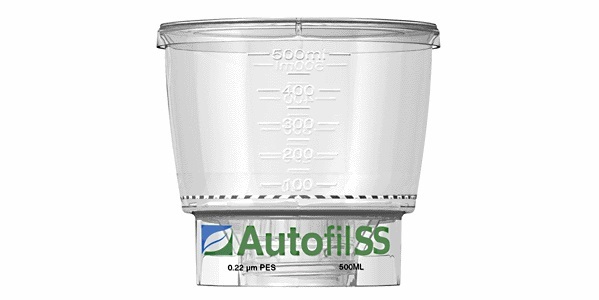 Both options have an upper filter funnel with a dust cap that contains a 0.1μm (mycoplasma filtering grade), .22μm (sterilizing grade) or 0.45μm (clarification grade) asymmetric Polyethersulfone (PES) membrane filter. The membrane is low protein binding and surfactant-free. 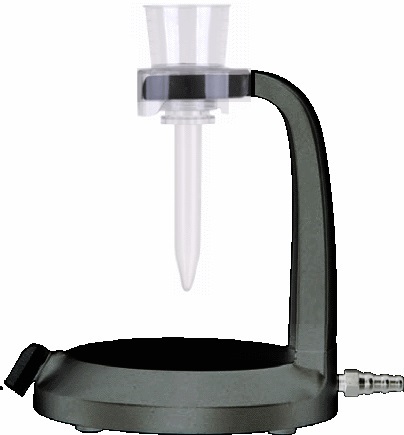 A full Autofil Bottle Top Filtration assembly includes funnel, dust cap, filter, a polystyrene media bottle and a SECUREgrasp™ bottle cap. The full Autofil Centrifuge Tube Filtration assembly includes funnel, dust cap, filter and centrifuge tube. 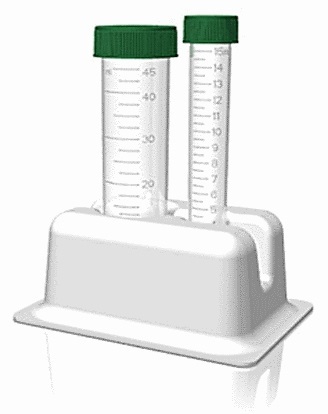 The Centrifuge Tube Filtration assembly is individually packaged and boxed in units of 24 that include a polystyrene dual tube stand. 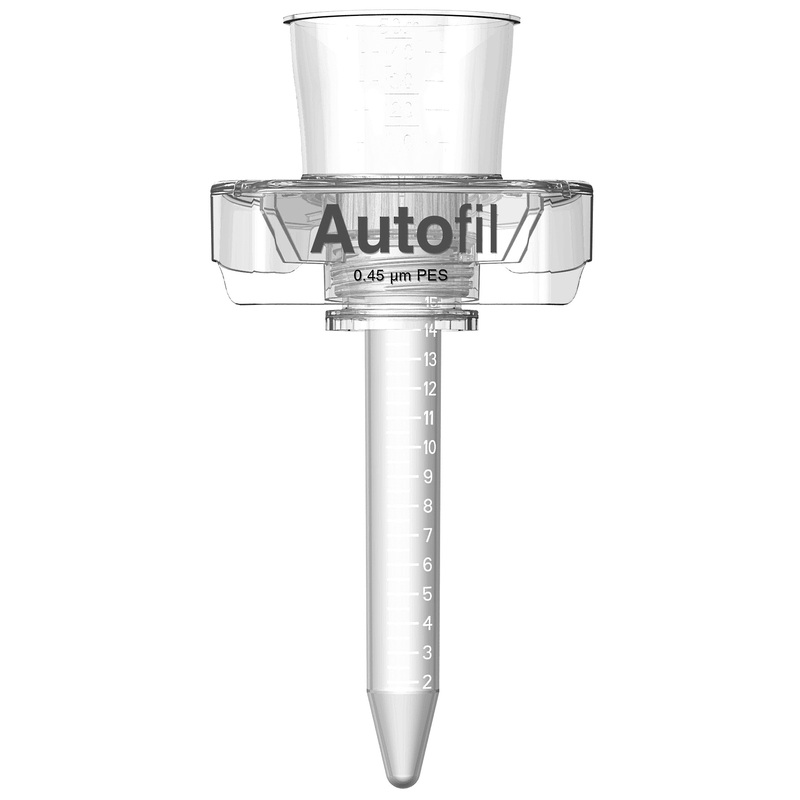 Autofil features a seamless, molded funnel and threading unit made of low extractable polystyrene, non-cyclotoxic and pyrogen free.. One piece construction eliminates the potential loss of vacuum that may occur in other brands when sonically welded parts leak at joints and seams. 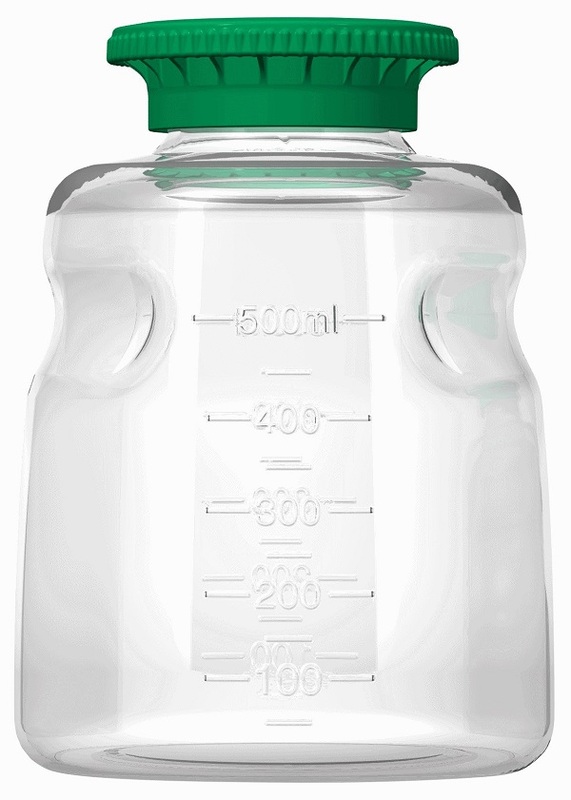 The media bottle supplied in bottle top Autofil assemblies is made of Polystyrene (PS). 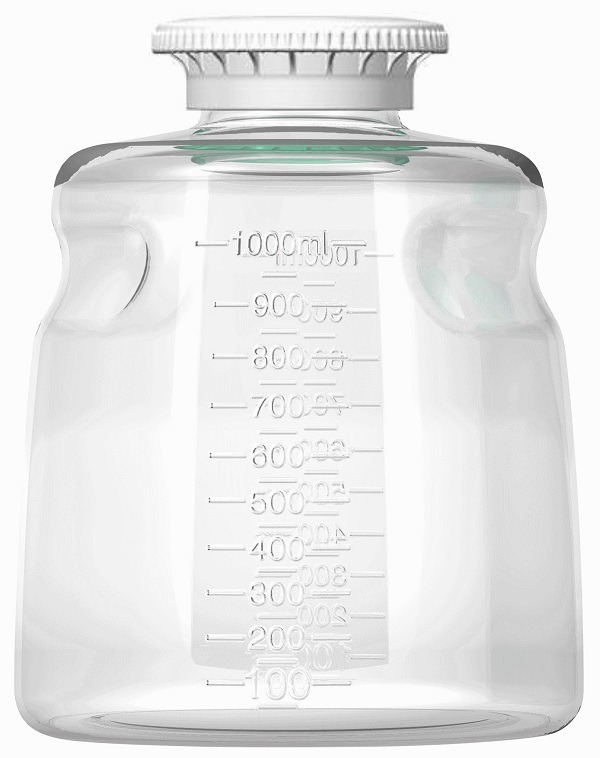 They are not autoclavable, but are stable up to 80°C. Other media bottles are available. Polycarbonate (PC) bottles are highly transparent, shatterproof, and have good alcohol resistance. 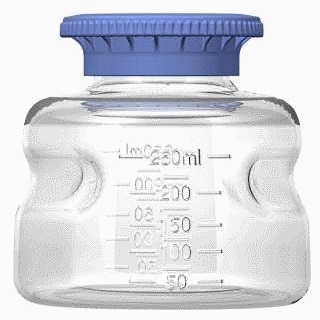 They are rated to withstand five autoclave cycles (bottle only). 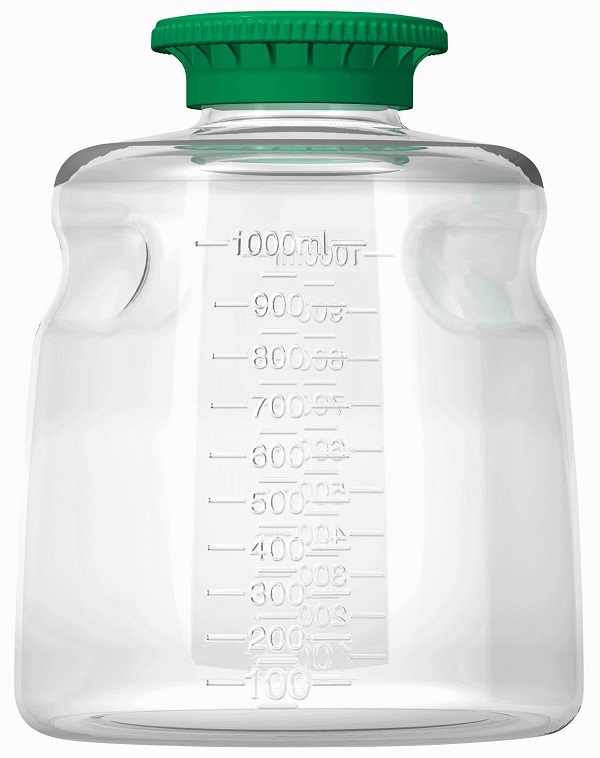 The Polyethylene Terephtalate Glycol-modified (PETG) bottles are optically clear and offer better impact resistance than polystyrene storage bottles. 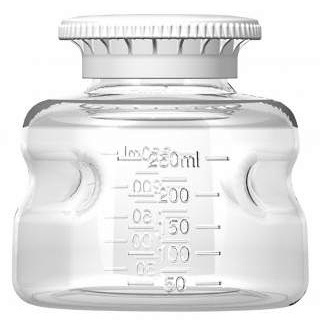 The bottles are gas impermeable, can tolerate cold, should not be subject to heat and are an ideal low cost choice for general laboratory solution storage. 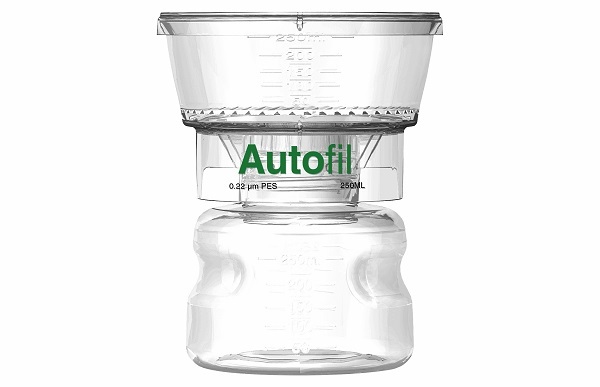 While Autofil systems can be used alone, the Quick-Connect™ pedestal base or cradle ring provides hands-free operation. 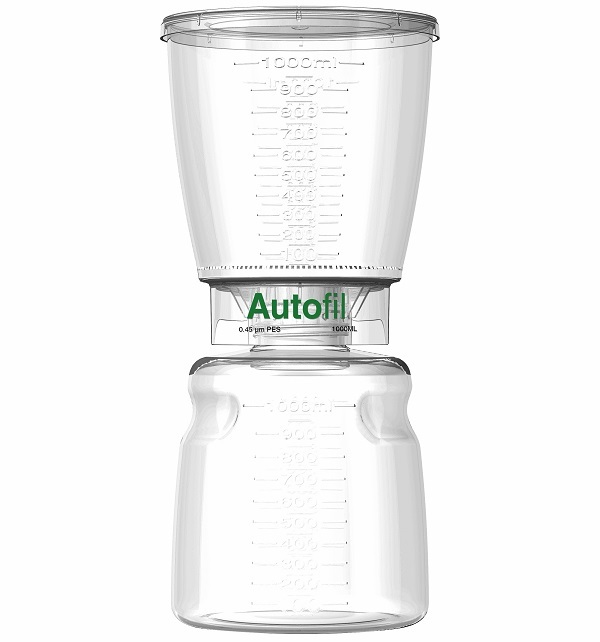 Simply attach a vacuum line to the Quick-Connect hardware. 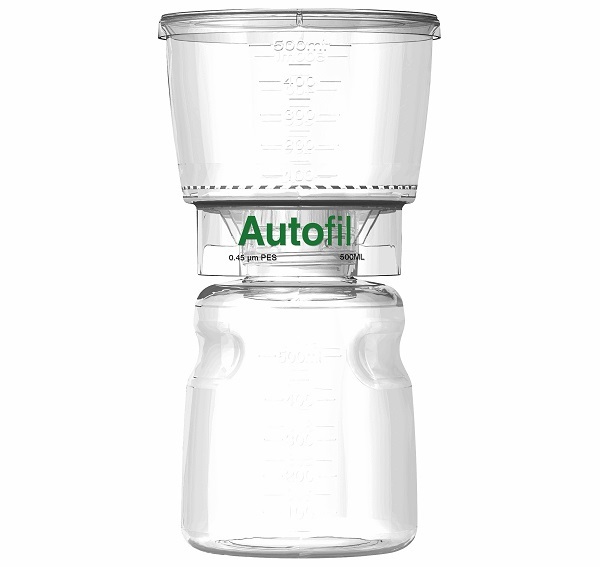 When ready to filter, set the Autofil unit onto the base or cradle and open the built-in vacuum control. 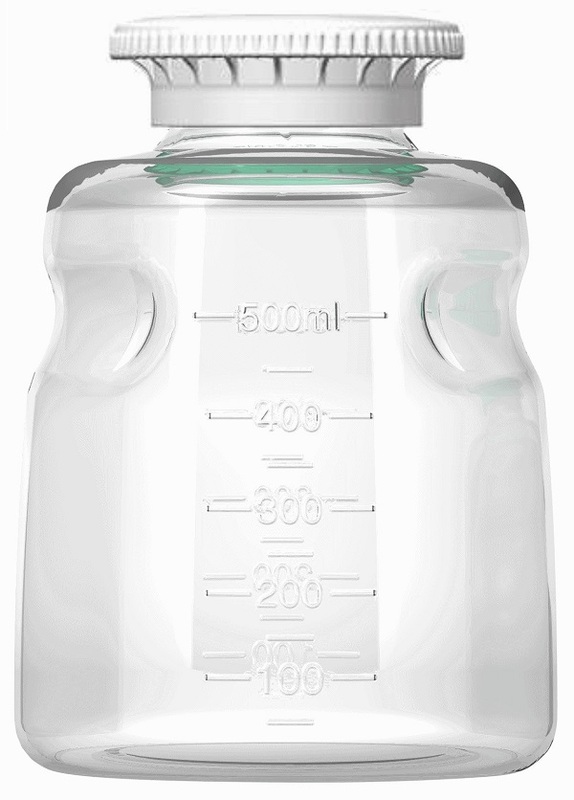 The filter is now fully supported for secure, hands-free operation and will not tilt or spill. 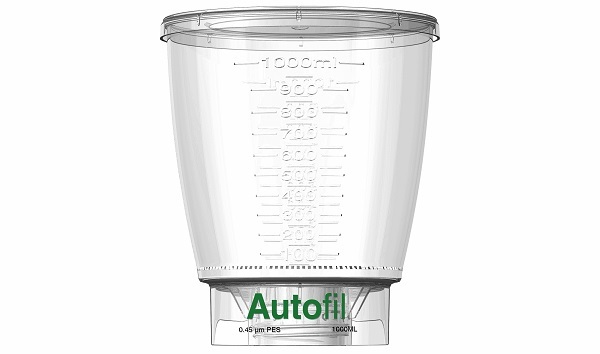 AutofilTM asymmetric PES membrane filters are extremely low protein binding and surfactant free. Large surface area and optimum performance means reduced filtration times and improved productivity. 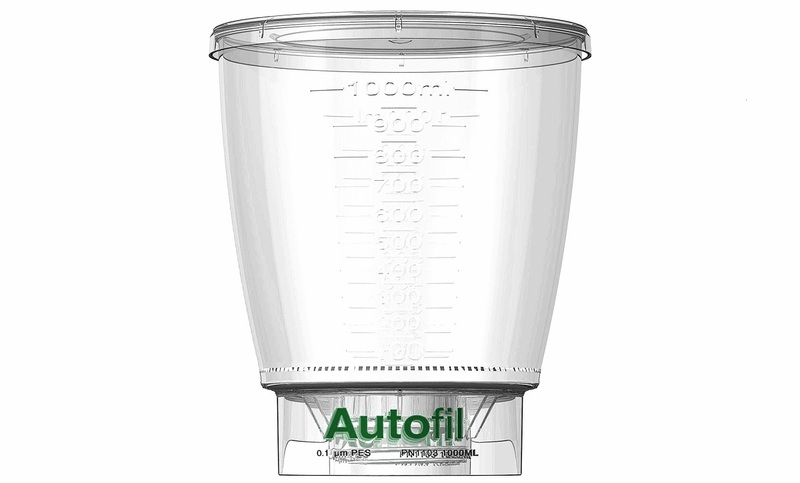 The Autofil SS 250mL 500mL and 1000mL Filtration Systems and Funnels have a High Flow Foxx Velocity PES membrane that offers even further outstanding performance.